Sprinkle the red mullet fillets with salt on both sides. Coat them on one side in a little flour, a whisked egg, and crispy breadcrumbs (for example Japanese Panko). Heat a dash of olive oil in a pan and put the coated side of the mullet fillets in the frying pan. Fry them golden brown and crispy, turn them over and fry them briefly on the uncoated side. 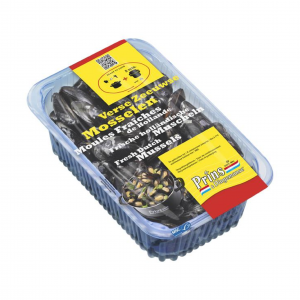 In the meantime, use a dash of hot olive oil to fry 75 gram Prins & Dingemanse sea aster per person, 1 teaspoon of finely chopped spring onion and a handful of fresh Prins & Dingemanse shell-on mussels until the shells open. Add coarsely ground fresh pepper and lemon juice to taste. 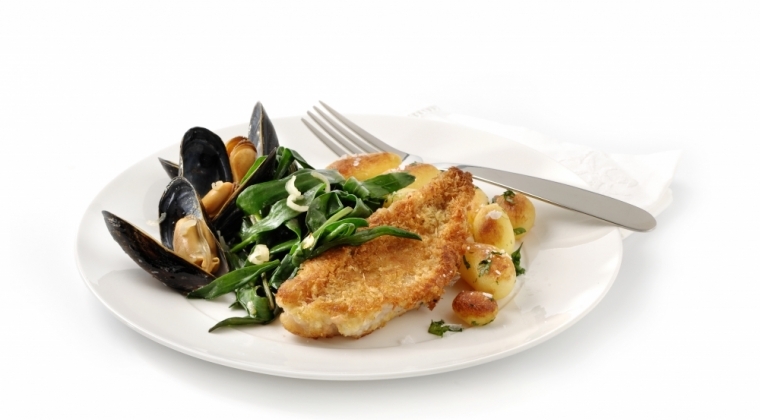 Serve this main dish with fried new potatoes, sprinkled with coarse sea salt.